Thursday February 14, 2019 – The Director of Criminal Investigations (DCI), George Kinoti, has summoned Humphrey Kariuki, the Thika-based businessman who is being sought over alleged tax evasion and making substandard alcohol and 14 other directors of various companies for questioning today. In a statement on Wednesday, Kinoti said they believe the summoned persons are connected to the allegations or have information which may assist in investigations into the alleged claims. “They are required to appear before the investigating officers at DCI headquarters on Kiambu Road on February 14 at 8am without fail,” Kinoti said. The top detective added that it is an offence under Section 52 (2) of the National Police Service Act 2011 to fail to honour summonses. 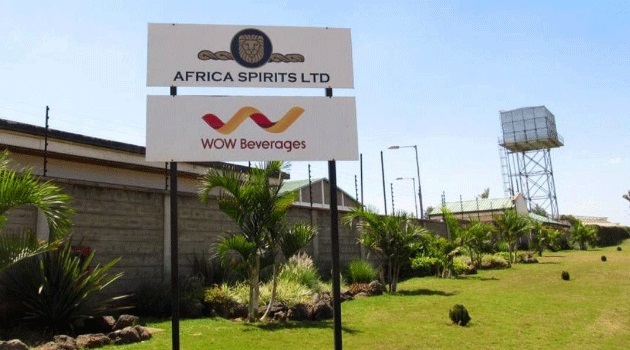 Among the entities summoned under Africa Spirits Limited include Peter Njenga Kariuki, Geoffrey Kaaria Kinoti Mbobua, Signature Wines (HK) Limited, Golden Valley Properties Limited directors, Jane Wanjiru Njenga, Kuria and Mary Wambui Njihia. Others include Gemtal Limited, Claudine Mathis, Lionsbridge Limited directors Dennis Murithi Kimathi and Mbobua. Others are Kigumba Limited directors, Kisima Management Company Limited, Kariuki and Nyawira Wangari Kariuki. Police also want Axis Logistics Limited directors Stuart Heard Gerald, Robert Murithi, Kuria, Kariuki and Gemtal Limited. Those under WoW Beverages include Muriithi, Kuria, Kariuki, Gerald and Directors of SICPA Kenya Limited. Humphrey Kariuki is said to be hiding in South Africa.